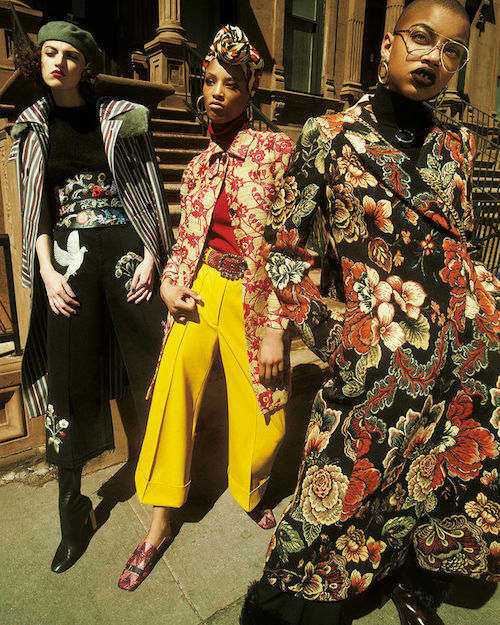 Last Spring, when I saw the riot of color, pattern and print coming down the runway for Fall 2017 it felt a bit “too retro”, a bit “too disco” for me, until I saw the latest editorial from GIOVANNA BATTAGLIA for VOGUE JAPAN. Of course if anyone could modernize the 1970s and make corduroy, shearling and florals fresh it would be Giovanna. Everything from the casting to her quirky styling works brilliantly here while showcasing one the coolest of historical backdrops — HARLEM USA.